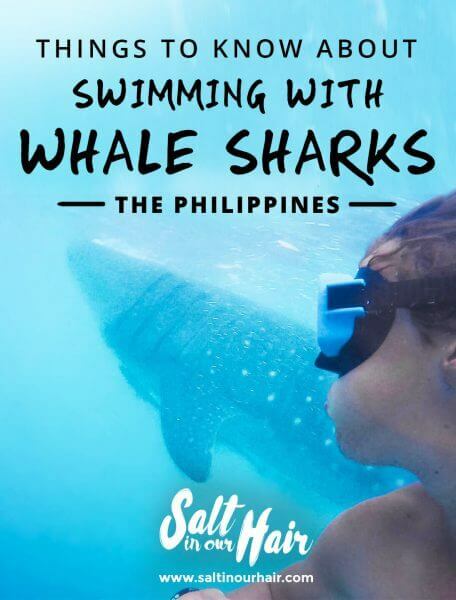 Get up close to the world’s largest fish, the whale sharks in The Philippines. Well, maybe it’s a bit too close for us in Oslob, where we went. 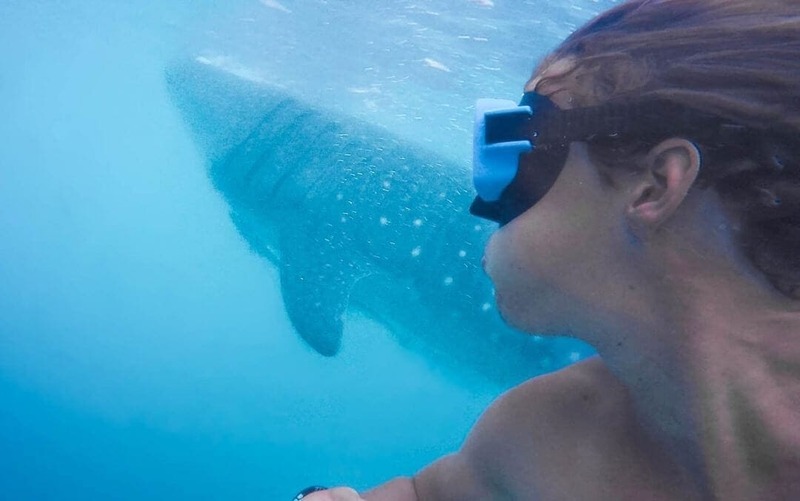 Swimming with a whale shark is a unique wildlife interaction that will last forever but think twice if this really is what you want. We want to tell you our story, some useful tips, and an alternative. Now that we’ve made clear the real situation, we still like to provide you with information and tips about this activity. It’s best to stay in or near Oslob. 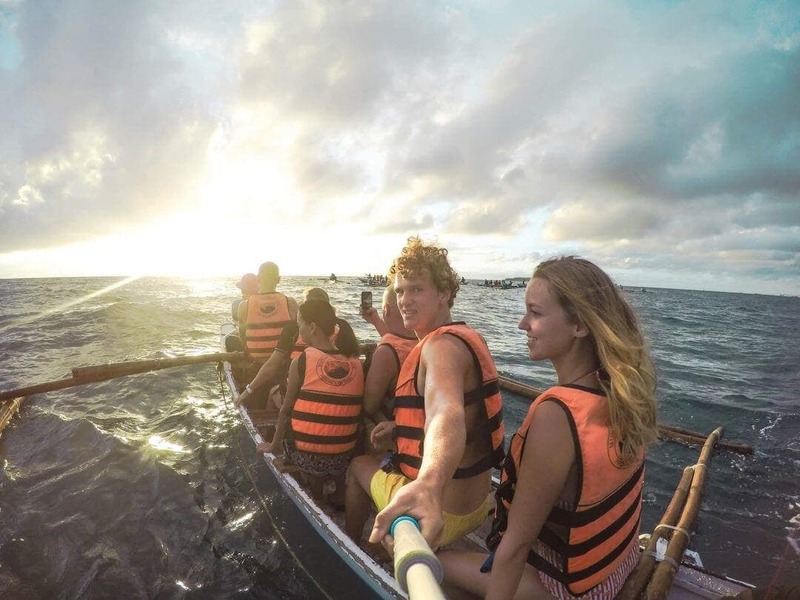 Don’t book a tour to the Whale Shark diving spot. Arrange a tricycle, jeepney or taxi and get to Tan-Awan village, 10 km to the south from Oslob. Get up early, be there around 5:45 and you’ll be the on the first boat. Do not put sunscreen on! This isn’t good for the health of the Whale Shark. When you’re in the water, try to keep a certain distance (6+ meters) from it, never touch this protected species and watch out for his tail. 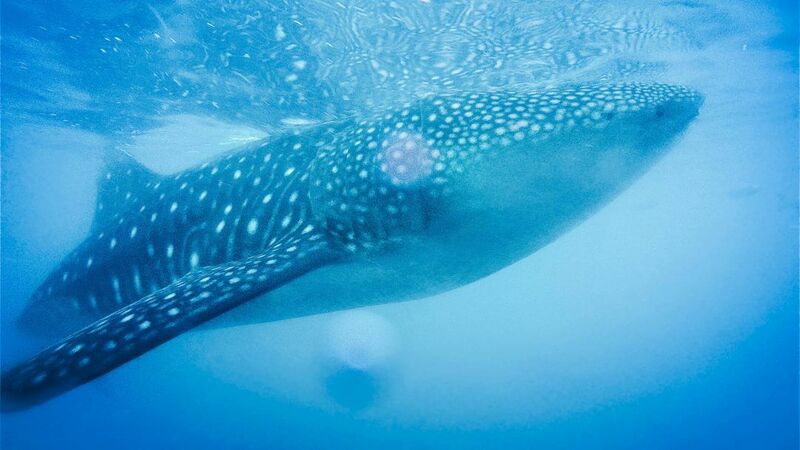 Whale shark swimming is safe as long you stick to the rules. How to get in Oslob? Ride a bus to Oslob at Cebu South Bus Terminal. The terminal is beside Elizabeth Mall. Don’t worry about getting on the wrong bus because there will be boards displayed clearly to guide you which bus goes where. If you want to be sure, the guards and staffs are friendly and will be more than happy to offer assistance. This will cost you around 150PHP. Probably a better place to watch Whale Sharks is in Donsol. As far as we know, they don’t feed the whale sharks. So you have to be more lucky to spot them. They are very clear about the rules and really freak out if people don’t stick to those rules. The rules at Donsol are a lot better. Simple rules as scuba diving and photo flash are prohibited. Check out Bicol Dive Center.